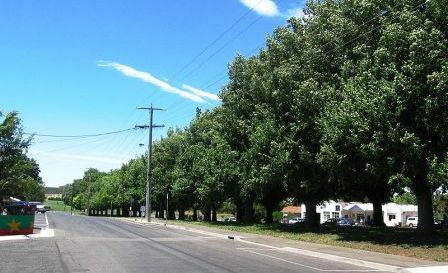 ﻿T﻿he township of Derrinallum was proclaimed on the 24th March 1873. A very different place then. 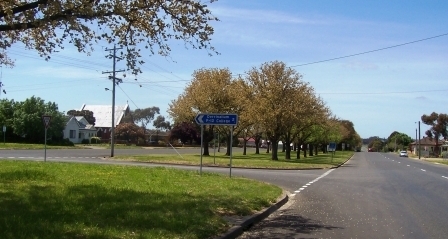 Today's Derrinallum has free parking for Campers, Campervans and caravans with toilet and other facilities at the football ground at the eastern end of town on the Hamilton Highway and also for a small charge at Deep Lake off Chatsworth Road about 2km out of town at the western end of town. There is now plenty of water in Deep Lake after years of drought, it has also been restocked with freshwater fish so there could be some good fishing and fresh BBQ’d fish for dinner if you have a current licence and throw in a line. Boating is allowed on the lake so if you have a boat with you back it down the ramp and have a run out. Plus for those on motor touring holidays there is a comfortable Hotel Motel in town offering good food and friendly service. We welcome any of your Derrinallum photographs and stories.